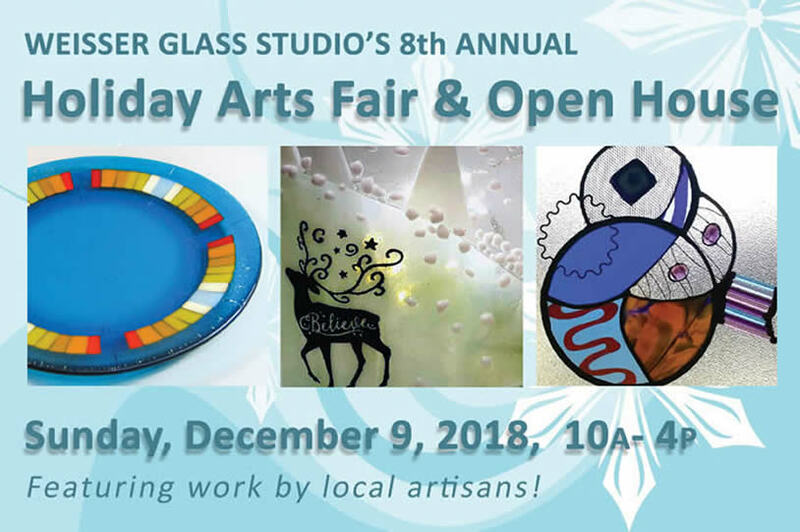 Join us for our eighth annual holiday open house and craft fair, featuring local glass artists and craftspeople. 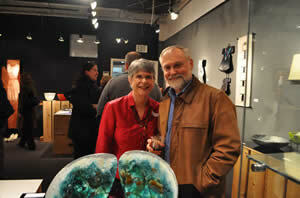 Meet the artists while enjoying light refreshments in a fun and festive atmosphere. A great place to shop and find wonderful handmade gifts, all while supporting local artists! 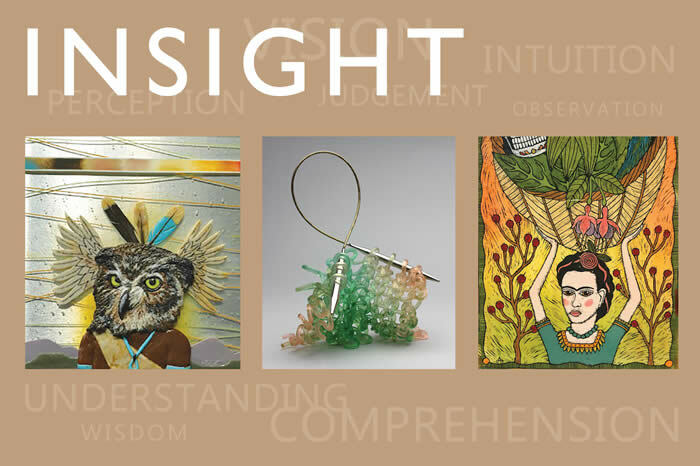 On display now in the Weisser Gallery, INSIGHT, an exhibit featuring works in glass by 14 nationally and internationally known artist/educators. This show explores the signature style of these accomplished artists, what moves and motivates them, and the translation of their personal imagery and vision into tangible pieces of wall art and sculpture. 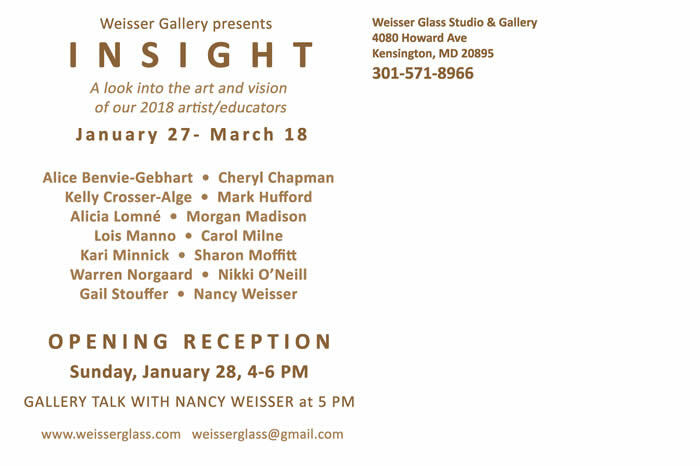 All the artists featured in the INSIGHT exhibit will be visiting guest instructors at the Weisser Glass Studio in 2018,teaching their craft in hands-on workshops hosted by the Studio. Also on display, the "Student Showcase," presenting pieces by past students of some of the visiting artists and inspired by their participation in the artists' previous workshops held at Weisser Glass Studio. The Gallery will also be hosting a Meet 'n' Greet with one of the participating educators, Warren Norgaard, on Saturday, March 10, 5:00- 6:00 PM. Warren is the owner of Milkweed Arts in Phoenix, Arizona, and will be teaching his Sand Mandalas in Glass class at Weisser Studio March 9-11. 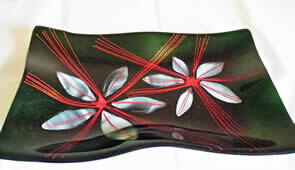 He is also the founder of Fused Glass Fanatics, a kiln-glass artists' group on Facebook with over 18,000 active members. 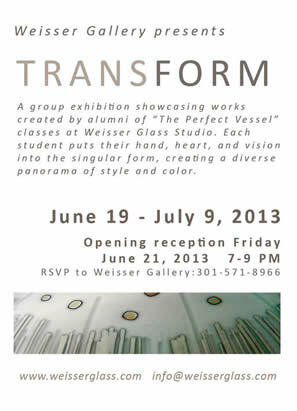 Join us in the Weisser Gallery to view our current exhibit and meet Warren Norgaard. 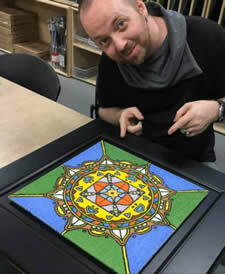 Warren is the owner of Milkweed Arts in Phoenix, Arizona, and will be teaching his Sand Mandalas in Glass class at Weisser Studio March 9-11. 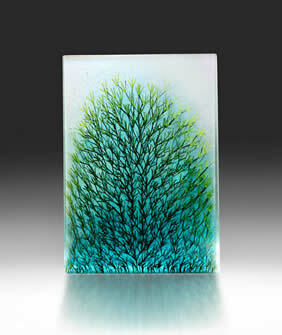 He is also the founder of Fused Glass Fanatics, a kiln-glass artists' group on Facebook with over 18,000 active members. 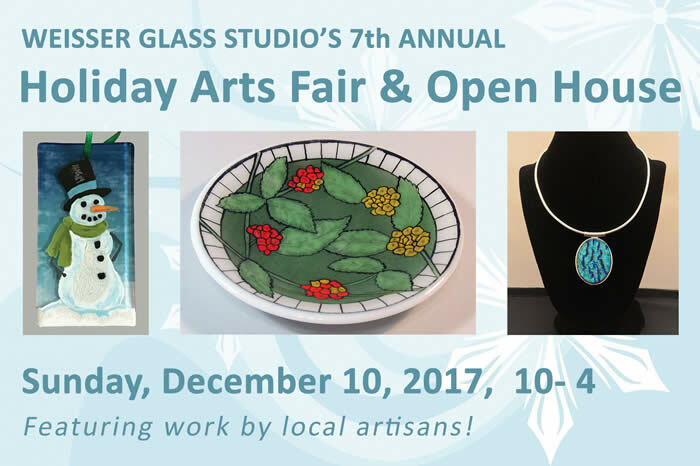 Join us for our seventh annual holiday open house and craft fair, featuring local glass artists and craftspeople. 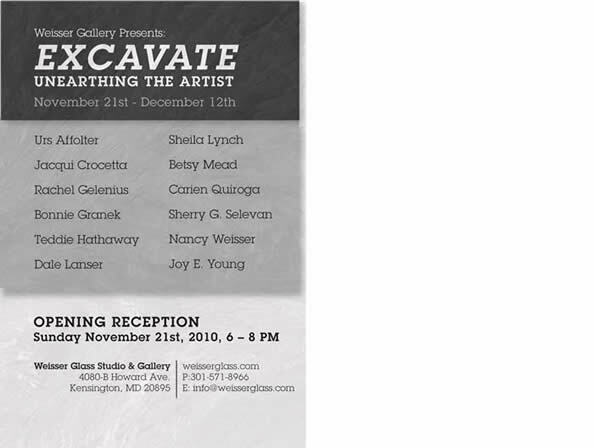 Meet the artists while enjoying light refreshments in a fun and festive atmosphere, all while supporting local art! 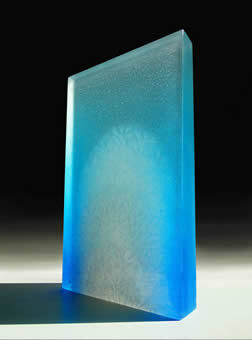 SMITHSONIAN ASSOCIATES TO VISIT WEISSER GLASS STUDIO & GALLERY! 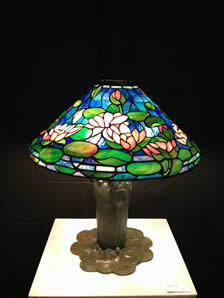 Weisser Glass Studio & Gallery is pleased to be hosting two Smithsonian Associates Tours this coming weekend! 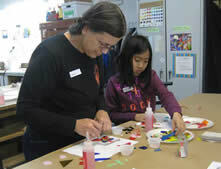 As the world's largest museum- based education program, the Smithsonian Associates provide unique opportunities to visit artists in their studios. On August 20 and 21, registered participants will visit with five working glass artists to gain insight into their methods and inspiration. 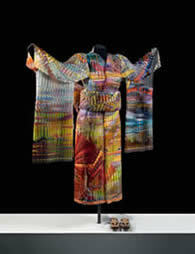 The tour will visit the Silver Spring home of Nancy Weisser to view a retrospective of Nancy's work, as well as her latest creation "Glass Jacket" that debuted at the 2016 GAS Fashion Show at the Corning Museum of Glass in June. 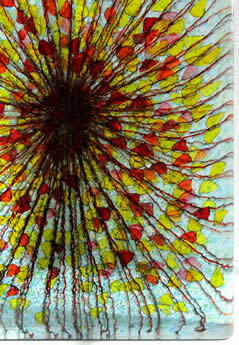 They will also see many works of glass art collected by Nancy over the years. 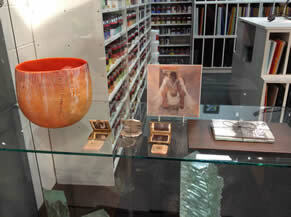 The next stop on the tour is here at the Weisser Glass Studio & Gallery, where guests will learn more about Nancy's art and techniques, and have a chance to make their very own piece of fused glass. 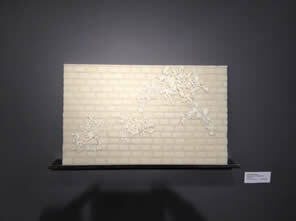 Nikki O'Neill, a former research scientist and guest instructor at Weisser Studio, will also be presenting her gallery talk in the Weisser Gallery, discussing how she blends art, nature, and science to create her stunning kiln-formed art. The tour will also visit the home and studio of Eileen Martin, good friend and associate of Weisser Glass and local stained and fused glass artist. The Associates will wrap up the day at the Bowie, MD home, gallery, and studio of woven glass pioneers Eric Markow and Thom Norris (former students of Nancy Weisser), where attendees will be among the first to see their "Fire Samurai", the initial sculpture in a series of five life-sized samurai inspired by elements of nature. 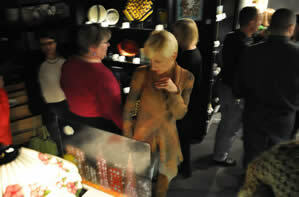 Join us for our fifth annual holiday open house and craft fair, featuring local glass artists and craftspeople. 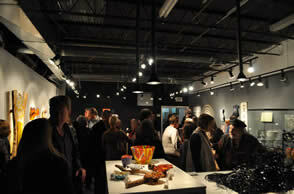 Meet the artists while enjoying light refreshments in a fun and festive atmosphere. A great place to do your holiday shopping for wonderful and unique handmade gifts, all while supporting local artists! 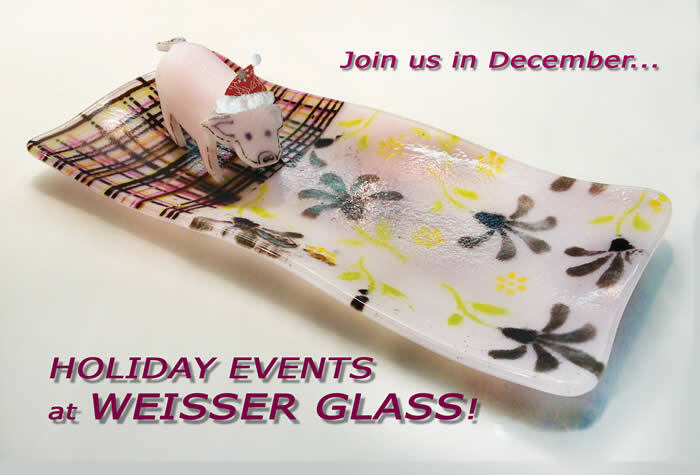 BRING YOUR FRIENDS AND FAMILY AND CREATE BEAUTIFUL HANDMADE GLASS ART AT WEISSER GLASS STUDIO'S POPULAR FUSED GLASS MAKE 'N' BAKES! 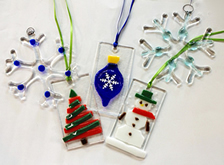 Create beautiful glass ornaments for friends and family, or just treat yourself! It’s a great group activity for family and friends; kids of all ages are welcome (under 12 must be accompanied by parent). Projects will require pickup on a later date. Join us for an evening with Emma Varga, internationally renowned glass artist, as she talks about her artistic process, influences both past and present that have informed her evolving body of work. Emma Varga was born in Ada, Yugoslavia, in 1952. 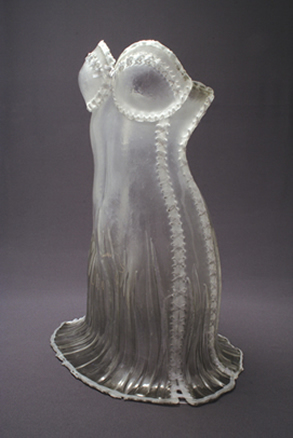 She graduated from the University of Applied Arts in Belgrade, Yugoslavia in 1975 earning a Bachelor of Arts degree in Visual & Applied Art, with majors in glass design and ceramic sculpture. Her work has been heavily influenced all along by her environment and experiences, which have, ironically, served as the catalyst for both dramatic change (in tone and feel), and stabilization (in process, style and focus) of her work over the past 20 years. She immigrated to Australia in 1995, prompted by the tremendous political and social upheaval in Yugoslavia. Her move to Australia allowed her work to truly blossom into her signature process and style. Leaving behind the turmoil of her homeland, she was able to start fresh, and chose to focus on the positivity that came into her life. 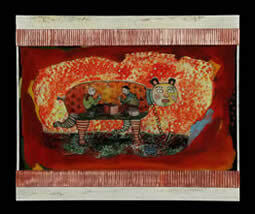 Her work stresses the affirming, brighter side of existence. Beginning with her early sandblasted and engraved glass pieces which incorporated carved and painted wood, the art of KeKe Cribbs has been profoundly influenced by the places she has lived. 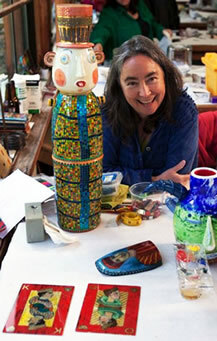 Her love ofthe highly crafted works of antiquity shows in the way she handles her materials; from her blown glass figures with powder pickups, ceramic and glass mosaic figures, to her current body of work featuring reverse-fired enamels on glass that become sculptural mosaic boats. Her slide lecture is a travel log of a life well-lived. The beauty and serenity of the desert lands of the Southwest- which have deep cultural roots for her- have informed her art, alongside the experiences of living in old European villages with winding cobble streets, heavy iron locks and hinges on old wooden doors. There is a sense of mystery and adventure sewn with magic in her work; new lands and old stories. 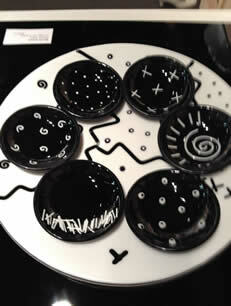 Featuring works by local artists, a great selection of handmade creations perfect for holiday gift giving. 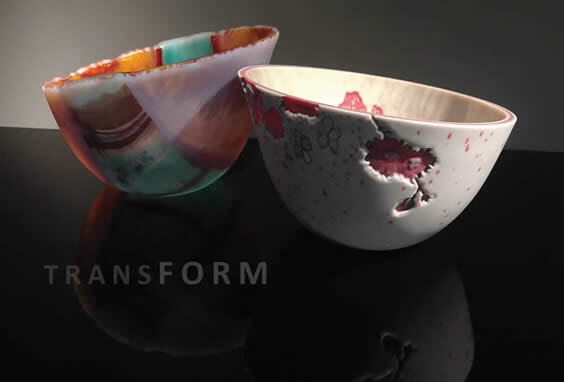 A celebration of form in glass, this group exhibition focuses on the works of the current students and alumni of The Perfect Vessel classes at Weisser Glass Studio. Each artist has created their own translation of the vessel form's perfect elegance, displaying a panorama of personal expression and insight. 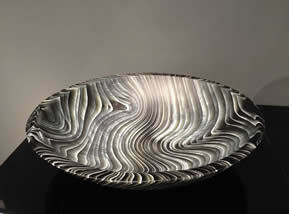 Each piece is unique, but all share the bond of similar profile. 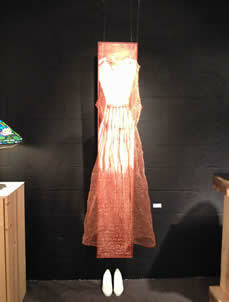 Please join us for a special evening as Susan reveals her journey into the world of glass and fashion. As a child growing up Susan experienced conflicting messages of self expression and expectation in the domestic environment. 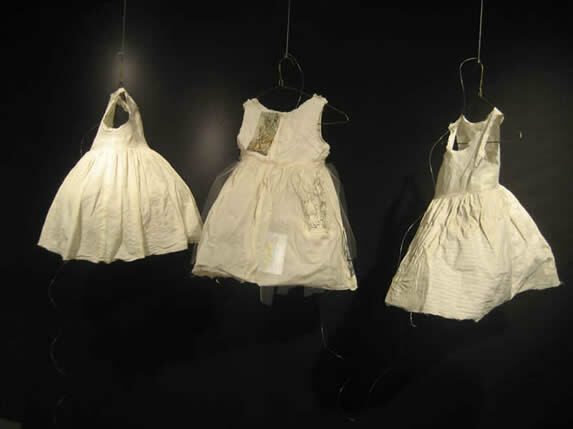 This experience became the focus of her body of work over time, resulting in baking inedible cakes and stitching glass clothing not meant to be worn. 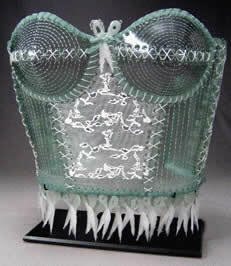 Susan has been very busy with two solo shows already this year, and her latest glass fashion ensemble will be featured at a special glass fashion show that is being presented as part of the James Renwick Alliance’s Spring Craft Weekend 2013. 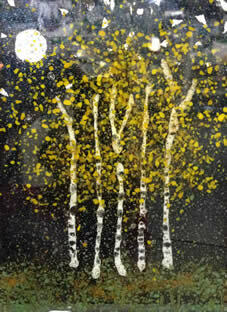 Admission is free, but reservation required, please call or email the studio to reserve a space. 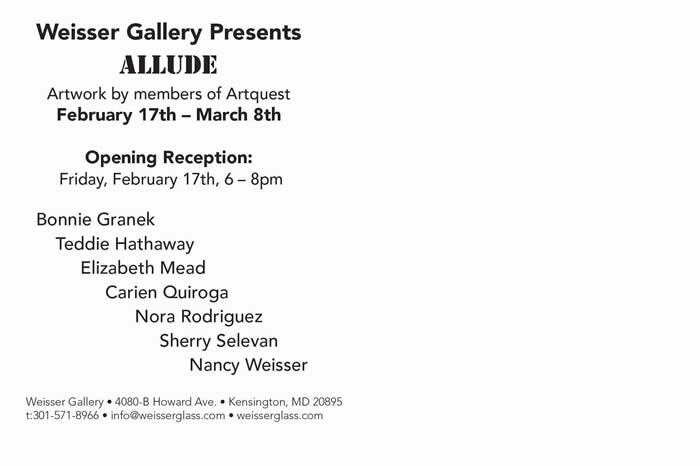 You may reserve your spot for this event by calling Weisser Glass Studio @ 301 571 8966. 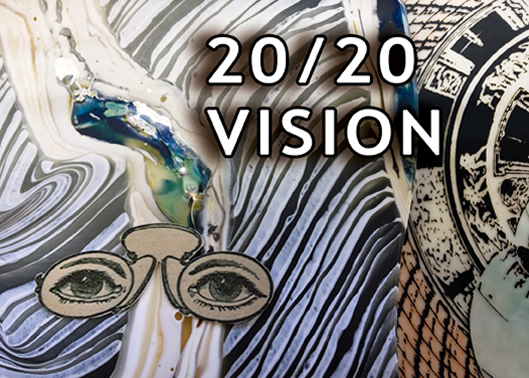 This October marks the twentieth anniversary of Weisser Glass Studio, and we are commemorating the milestone with an exhibit titled 20/20 Vision. 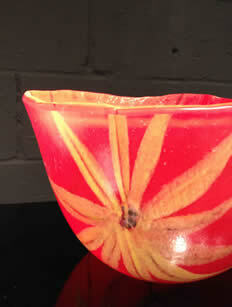 We will be celebrating twenty years of glass with the work of twenty glass artists who are near and dear. 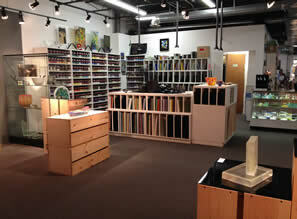 Over the years, many artists have come through the studio, sharing their knowledge and learning from one another. 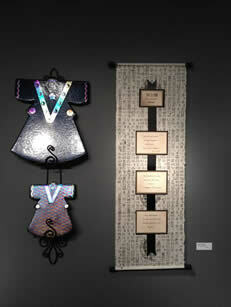 Many have developed significant relationships with Weisser Studio, the staff, and owner/artist Nancy Weisser. 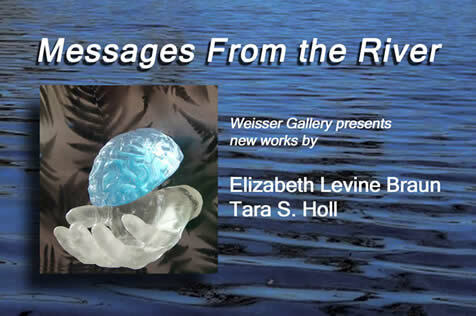 Featuring many of the area’s top glass artists, this will be a celebration of the history of Weisser Glass Studio as a haven for glass artists, and an opportunity to see some of the remarkable artistic journeys that have been made by those close to us. A special exhibition of artworks made during residencies by inmates at the Montgomery County Correctional Facility (MCCF) in Clarksburg, MD. under the guidance of PYA professional artists, Carien Quiroga and Peter Krsko. MCCF inmates from the women’s unit and the young men’s unit learned skills in art-making, problem-solving and team building over the course of several weeks between February and April, 2012. Sculpting with plaster and using a variety of drawing techniques, women crafted personal art pieces, each one making a statement about what it means to be accepting of their lives, their future, and all that is “in our hands.” Also featured in the exhibit are stenciled paintings made by young men at MCCF during mural arts workshops with artist Peter Krsko. These paintings are representative of a larger mural created by the young men using some of the same stencils. As with all PYA programs at the county jail and other detention centers, artists teach new skills, raise self-esteem, and encourage participants to reflect on issues of choice, accountability, and constructive means of moving forward in life. 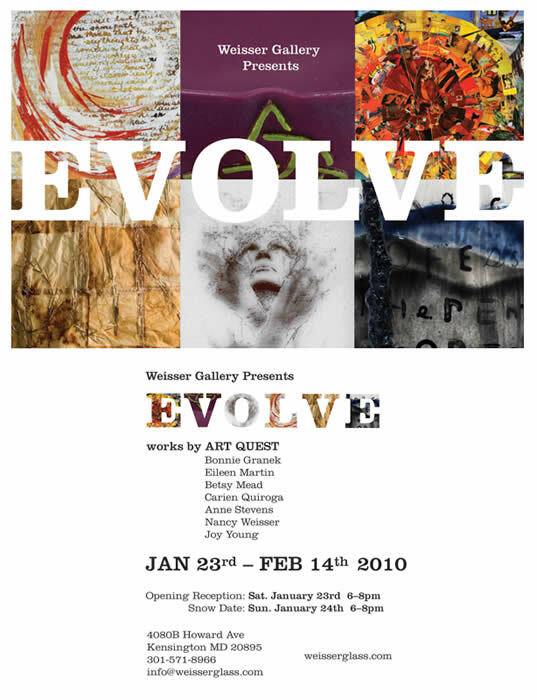 The gallery at Weisser Glass Studio offers creative inspiration showcasing the diversity and talent of local artists in a nontraditional enviroment. 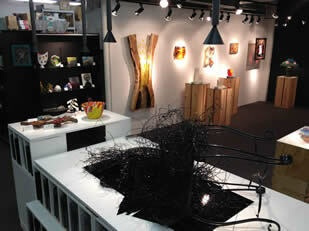 The gallery is part of the art studio of Nancy Weisser, that also houses a teaching studio and supply house. 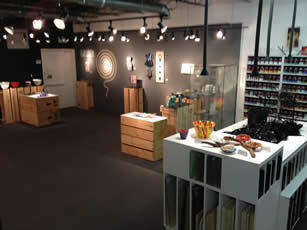 Here you will find the raw materials, the tools, the workshop and the finished artworks sharing one space. To receive notices of openings and shows, join our mailing list. 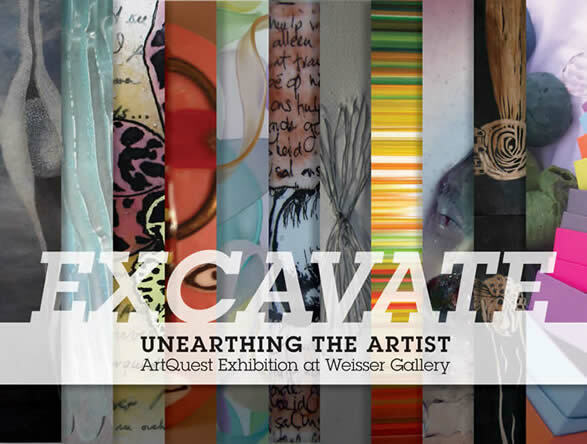 Excavate showcases the works of our ArtQuest students, and illustrates the creative journey that they took during the class. Over the past eight months, students met at the Weisser Studio and were challenged to dig deep to find their individual artistic expression through coaching, creative journal exercises, group discussions and critiques. This special exhibit not only showcases the finished artworks, but the journals and prototypes that illustrate the student's personal growth and creative journeys. 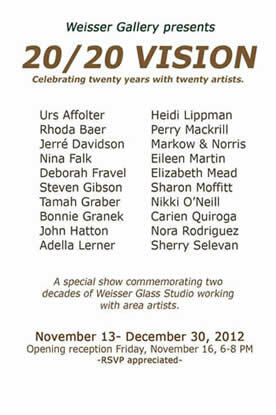 Please join us for an opening reception for the artists on Sunday November 21, 6-8 PM. 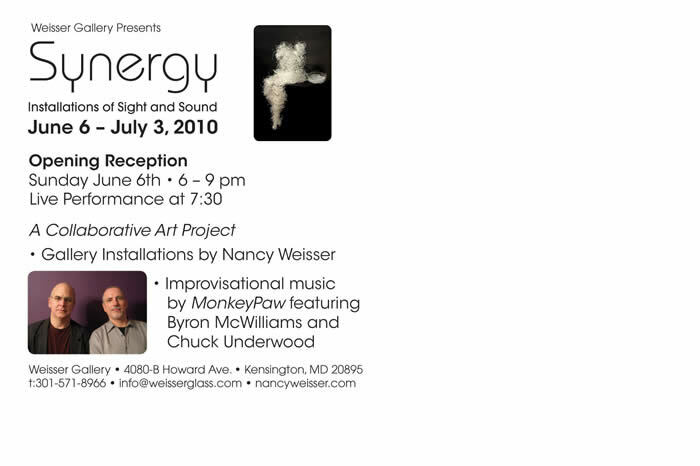 Three local artists will present an evening of contemporary music and visual art at Weisser Gallery in Kensington on June 6, 2010. 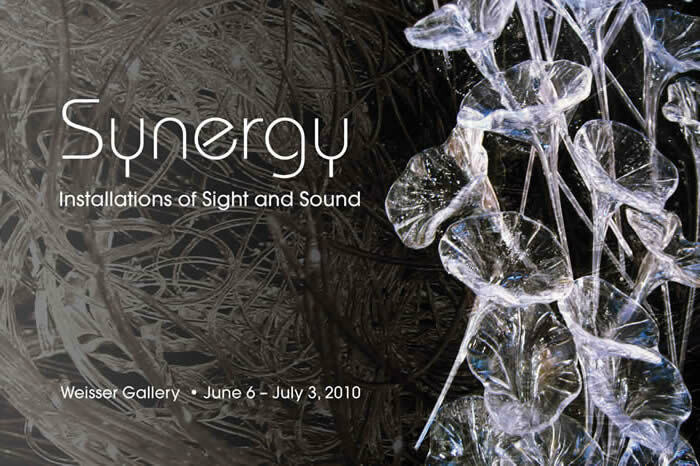 The event, hosted by local glass artist Nancy Weisser will be the opening night of “Synergy” an exhibition of sight and sound. 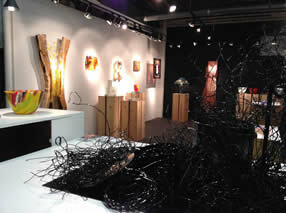 Nancy will transform her gallery with glass installations and showcase an avant garde blend of sonic and visual arts. Nancy’s art will be juxtaposed with the live music of MonkeyPaw, featuring local musicians Chuck Underwood and Byron McWilliams. 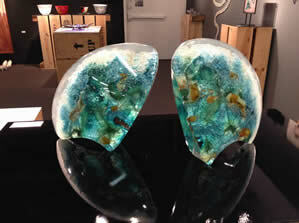 Nancy Weisser has been creating unique and exciting works of art in glass for nearly 30 years. 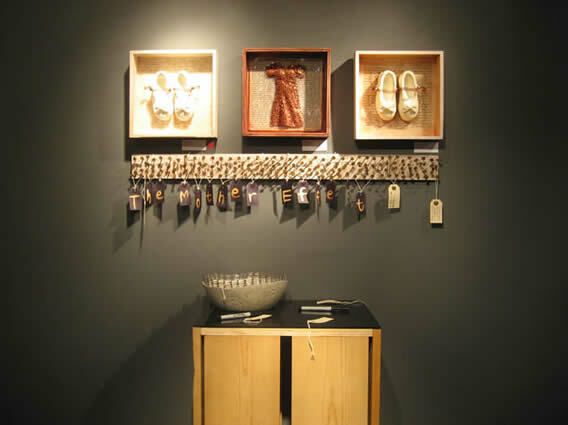 Her Broken Memories installation was recently recognized in a worldwide competition by the Corning Museum of Glass for selection in its New Glass Review Publication. The Broken Memories video marks the first professional collaboration for Nancy and her guitarist husband, Chuck Underwood. Chuck has been one of Washington, DC's most respected musicians for the past 25 years. He and local drummer, Byron McWilliams, have worked together for many years, most recently as MonkeyPaw, a wide-ranging spectrum of sound influenced by a lifetime of diverse musical experiences. Each of the three artists has been personally motivated to create art that is about self-expression rather than dictated by commercial concerns. 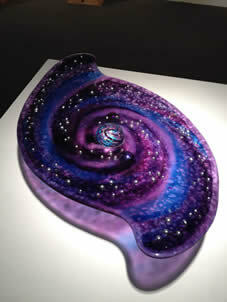 The result is a breathtaking blend of glass and music that provides an opportunity to appreciate art in its purest form. 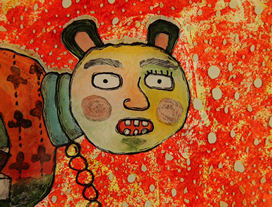 The June 6 performance and exhibit at Weisser Gallery will highlight the symbiotic connection between sonic and visual arts by showcasing the premier live performance by MonkeyPaw inspired by the glass works of Nancy Weisser. 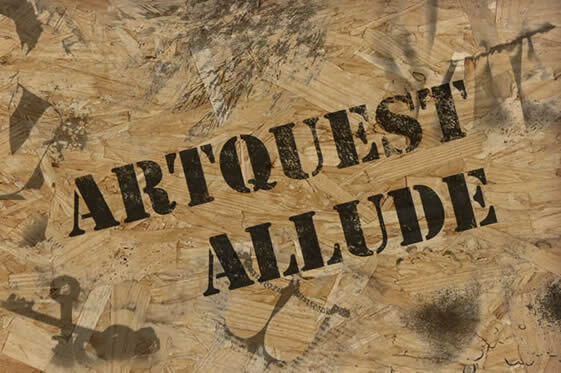 An exhibition by the students of ArtQuest. Over the past 12 months, this group has bonded while examining the creative process of how art happens. 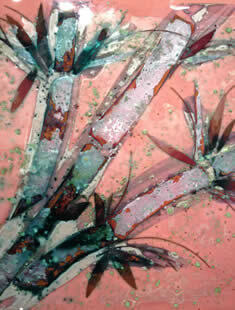 The social dynamic of this class has been essential to the individual growth of each artist and their work. 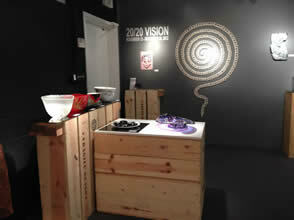 Together they have maintained journals, developed and abandoned ideas and brought their concepts to fruition. The path has seldom been direct and the process has posed numerous technical obstacles. 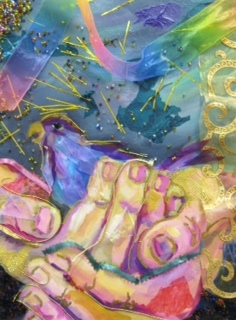 The artists’ group has delved beyond the confines of technique, pursuing the right materials and content to achieve the greatest self expression. 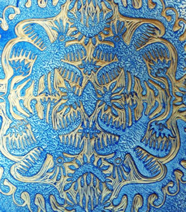 The exhibition will not only showcase their finished pieces but will include journals, sketches and test pieces that will document their evolution. 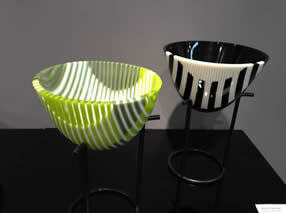 If you haven't had the chance to see the Markow & Norris Woven Glass exhibit at Weisser Gallery, I highly recomend it. 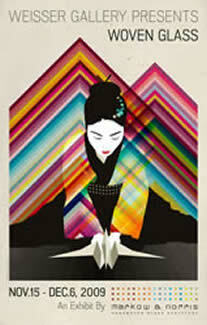 You really have to see "Autumn Sunset Kimono" in person to fully appreciate this masterpiece. 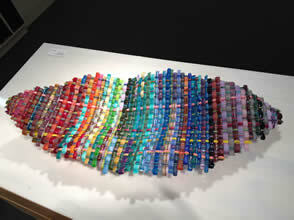 This photo is only one view of this spectacular woven glass sculpture that is on display in our Gallery show extended through Sunday December 13, 2009. Markow & Norris will be here in the Gallery on Thursday evening December 10 at 6:30 to discuss this and their other sculptures in depth. Please RSVP to attend this event; 301.571.8966. 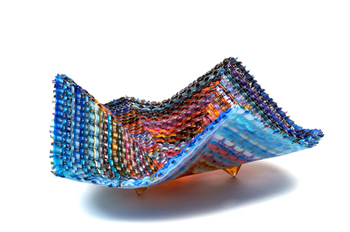 Follow the evolution of Markow & Norris as they present a broad repertoire of works with new and never before seen pieces, including Autumn Sunset Kimono, in their solo exhibition at the glass art studio that launched their career.